Introduced in 1975 by Life Savers, the popular bubble gum was the first soft bubble gum ever created. Checkout the retro TV commercial with a very young Leonardo DiCaprio, scroll down. 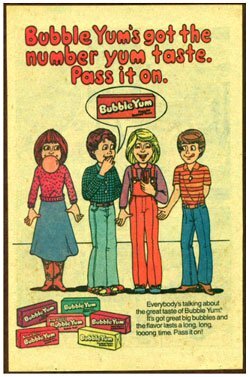 Bubble Yum was introduced in 1975 by LifeSavers and was the first brand of soft bubble gum created. 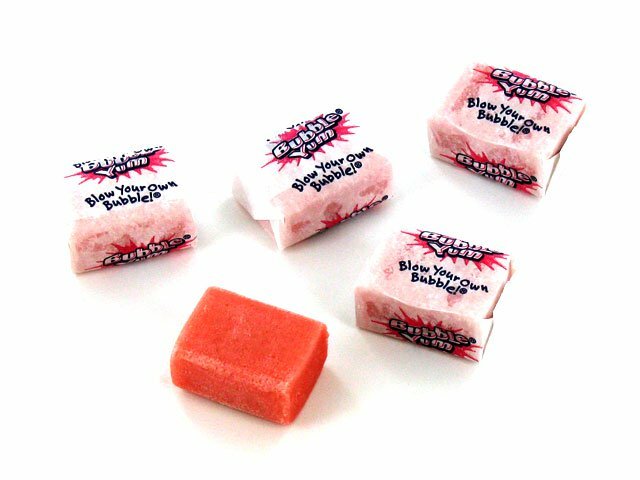 In 1977, rumors began to spread that the gum's was soft due to the addition of spider eggs. The Life Savers Company addressed the issue with an official full-page rebuttal printed in most large U.S. newspapers, to dispel the rumor and restore the public's confidence. Today Bubble Yum is made by the Hershey Company who acquired the brand in 2000. Checkout the retro TV commercial below with a very young Leonardo DiCaprio.